Deltarune – a lively, charming demo from Toby Fox – arts, ink. Deltarune unexpectedly came out a month ago, and having really really enjoyed it, I wanted to give my thoughts. Deltarune is the first chapter of the successor to Undertale (although not technically a sequel nor prequel), an indie game that blew up in 2015. I’d highly recommend playing both (Deltarune is free!) and not reading the rest of this post if you haven’t, as even knowing a little bit about these games drastically harms the experience. They are incredibly strong narrative-focused games that have a surprising amount of depth and an immaculate attention to detail. Mild spoilers ahead duh. If Undertale wasn’t evidence enough, Deltarune pretty much confirms my conviction that yeah, Toby Fox is a genius. It’s really incredible how talented Fox is in so many different aspects – the narratives of his games are excellently written, Undertale with a strong focus on the themes of resolve, pacifism, and choice, or in Deltarune’s case, the opposite; the characters are charming, each flawed in some significant manner, but are all likable and sympathetic; the soundtracks are top-notch, stupidly catchy and add a ton to the atmosphere; the humor is consistently quirky and interesting, and really helps in making the characters in the world feel like more than just 2-dimensional cardboard cutouts. All of it oozes with personality. And that’s really what seems to set these games apart – Deltarune in particular is a colorful, concise, and emotive experience that immediately draws the player in to caring about this crafted fantasy world and its characters. From the instant you step foot in the Fields of the Dark World, the vibrancy of its lavender grass and the flushed, scarlet trees, the small, humorous details littered all across the area, coupled with an absolute banger of a soundtrack, evokes this very strong feeling of going on some wondrous, childlike adventure – it’s kind of like the feeling of being whisked away in Disney World, where you just can’t help but smile as the costumes and the bright lights and attractions all take you back to simpler days. I might as well take the time here to talk about the soundtrack. It’s superb. Better than Undertale’s. “Fields of Hopes and Dreams” is a delightfully upbeat track that sounds exactly like its title – a glittery piano melody joyfully dances away into an innocent sounding higher register passage that encapsulates the feelings of having so many great hopes and dreams for the future; an infectious optimism that communicates a lot of love for being alive. The next section sees a more sultry, saxophone-like synth take hold of the melody, and just adds a lot of smoothness to our already bubbly, playful song. This was my favorite new track. A very close second of mine is “Scarlet Forest,” which is a bit more mature, and doesn’t have that ring of 8-bit video game sound that Undertale was known for. IMO, Toby Fox should do even more like “Scarlet Forest” – the strings and flute are a welcome addition to the instrumental cast of the game and build a very lively atmosphere to the Forest setting. I’ve heard Deltarune called “the most Tumblr thing they’ve ever played,” while which is perhaps an accurate observation (and is considered a pretty awful pejorative), takes a bit of concerted cynicism towards the game’s writing and design that I think is unreasonably pessimistic; it’s easy to call out the narrative as cheesily progressive à la Tumblr, but in doing so, you might neglect a lot of the genuine fun and personality that Toby Fox packs into the experience. Undertale and Deltarune (and art as a whole) should be enjoyed without having a pretext for disliking them due to the rabid fanbase or because of the negative echo chamber that comes from anything that generates too much hype, and I just think it’s a terrible shame to let these externalities influence the public perception of what’s on its own an incredibly earnest story of compassion for others. According to Toby Fox, it might be quite a few years before the rest of Deltarune comes out, which is disappointing, but given how long he’s been working on this project and just how quality it is, it’s some time I’m willing to wait. I thought that Deltarune was a pretty strict upgrade from Undertale, with better music, an improved battle system (graze to generate TP is a great idea taken from the Touhou Project), and more likable characters (which I had wanted to dedicate a paragraph to, but this post is already waaay too long). 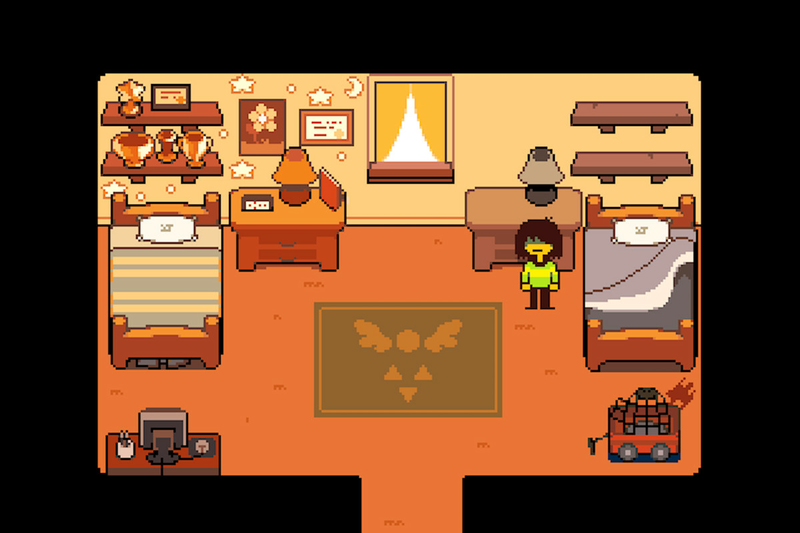 Playing the demo, I found myself often smiling and laughing at just how fun the whole game is, and I really hope that as many people who enjoyed Undertale will enjoy Deltarune. Toby Fox deserves it.